When Jonny and I were first incubating the idea for Shnergle and working out how best to bring it to life, someone suggested that Shnergle should be a creature (think kid cartoon-esque). I understood the concept at the time and thought it was a good one, but we decided to not to take this approach. I can’t offer any insight into whether we made a good or a bad choice at that point, but as I write this I can’t help but think it is an appropriate analogy. 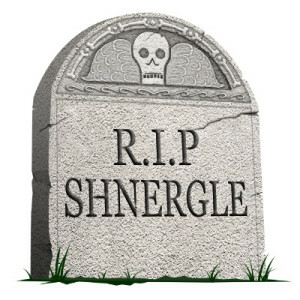 ‘Today we are taking Shnergle to the vet and having him put down. It is an emotional decision for all the team to put Shnergle down, but particularly so for Jonny and I, who have nursed him from inception and brought him into the world. We have become very attached to the little critter, but know that keeping him going will just prolong the pain; he’s not going to make it, so best make the transition to the other side as comfortable as possible. I would like to take this opportunity to thank everybody who has helped us on this journey; from our supportive investors for believing in our vision; to Stian, Adam and Harshita, without whose incredible efforts the app would never have existed; and to our friends and family for putting up with us being tightwads and never getting the drinks in! Finally I would like to thank our users and merchants – without your invaluable feedback we would never have got this far.